Scientist Fuse aims at creating a generation of scientists, innovators and thinkers in Pakistan. As matters stand, studies reveal that even though school syllabi demand it, there are very few young Pakistanis who want to study science subjects and still fewer who want to become scientists. Many generations have found science so audaciously dull that they are now indifferent — even hostile — to a subject that stands at the very pinnacle of human understanding and progress. While some of Pakistan’s better students will be reasonably successful in science-related professions such as engineering, medicine, and information technology, their poor science backgrounds will leave them ill-equipped for pushing the frontiers of these rapidly evolving fields. This disinterest towards science education amongst Pakistan’s students has been cultivated by years of bad pedagogy and the ‘cram to pass’ culture. Science Fuse wants to help change the way science education is perceived and practiced in the country by collaborating with both private and public/charitable institutions in the country. Our science programs aim at introducing a culture of critical thinking and providing young learners – irrespective of their socio-economic background – an opportunity to practice science in contrast to merely reading about it in textbooks. Hence sparking their imaginations and generating an interest in science from an early age. Our founder, Lalah Rukh has been working as project leader and science communicator at a Norwegian social enterprise which aims at promoting STEM education in Norway. Lalah Rukh completed most of her schooling in Karachi and was hence aware of the dire need and entrepreneurial niche that exists for introducing unconventional teaching methods to promote STEM education in Pakistan. Having seen the positive impact through her 5-year experience working within STEM engagement in Norway, she was very keen to initiate STEM engagement programs in Pakistan. In 2013, she along with a norwegian social enterprise (Forskerfabrikken) helped launch and conduct a pilot interactive science workshop for the students of The Garage School – a charity-based school where students belonging to low-income families from various religious backgrounds are provided free education, funded through sponsorship programs and donations from friends and members of TGS. The science workshop consisted of hands-on activities where students got an opportunity to put scientific theories in action around the themes of chemistry, biology and physics. 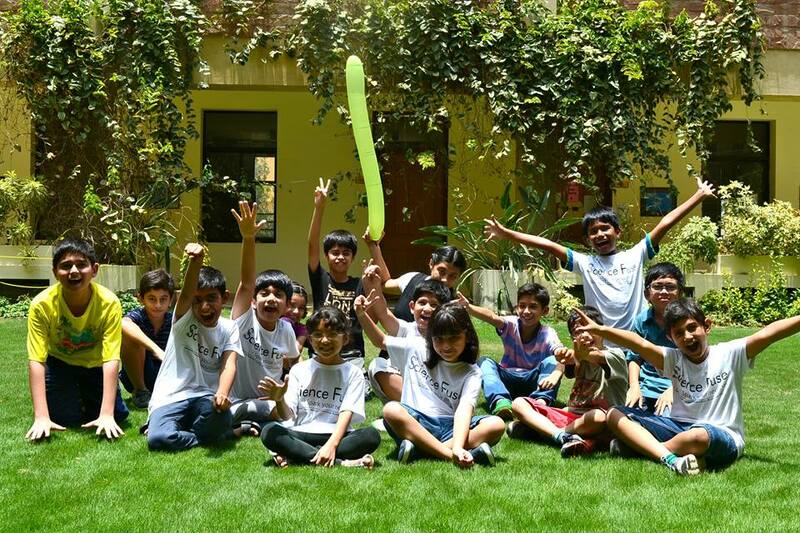 In 2014, came the next step when they mutually designed, coordinated and led a two-week long science summer camp at Haque Academy – a leading private institution based in Karachi. In addition she collaborated with Aman Foundation and T2F (the second floor) for a week long summer camp and three science workshops catering to underprivileged students from The Garage School, Kiran School System Lyari and Dream Model School. A total of 120 students participated in these activities. The program received an overwhelming response from local collaborators, participants and parents alike. Not giving up on their dream to change the way science education is perceived and practiced in Pakistan, a group of science enthusiasts and educators decided to co-launch Science Fuse. Over the coming years we aspire to collaborate with a larger number of public and private educational institutions in Pakistan to help bring our interactive STEM programs to many more students from various socioeconomic backgrounds. These programs would include our annually held summer camps, all-year round extracurricular science workshops and after-school science clubs for students aged 4 to 13 years. We will also initiate teacher training programs which will equip science teachers from private and public schools with content, tools and techniques to improve science learning in the classroom.